House of Cards was the first series released in online film distributer Netflix's plan to start producing their own content. 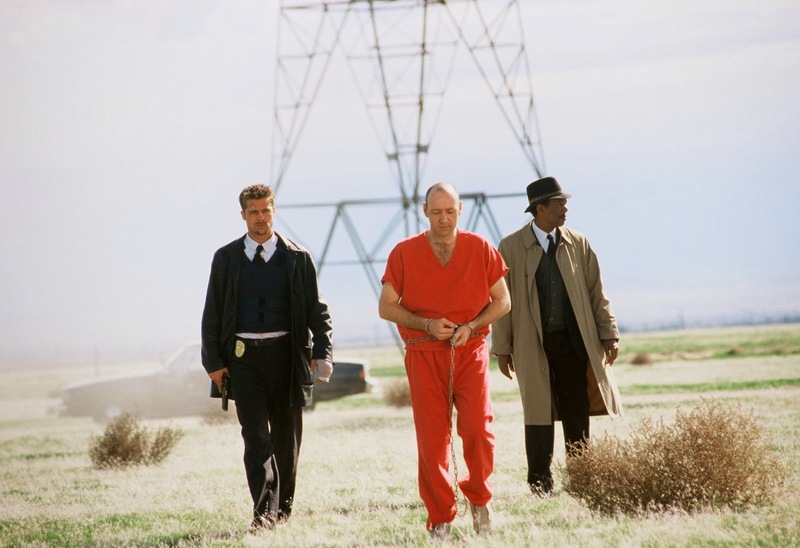 In an attempt to create a splash, Netflix sought to provide it with strongest pedigree possible, bringing together Oscar winners David Fincher (Seven, Fight Club) and Kevin Spacey (American Beauty, LA Confidential) to work on that most prestigious of genres, the political drama. A dark and searing indictment of the hypocrisies of the Washington establishment. The show was a tremendously success, nominated for 9 Emmys, winning one for Best Direction (the first webseries to ever win a primetime Emmy), receiving strong critical praise, and becoming one of the most talked about political dramas since The West Wing. Its success, both critical and commercial, is important, as it says something about what kinds of stories about politics were are interested in hearing today, and what kinds of critiques we are comfortable with. 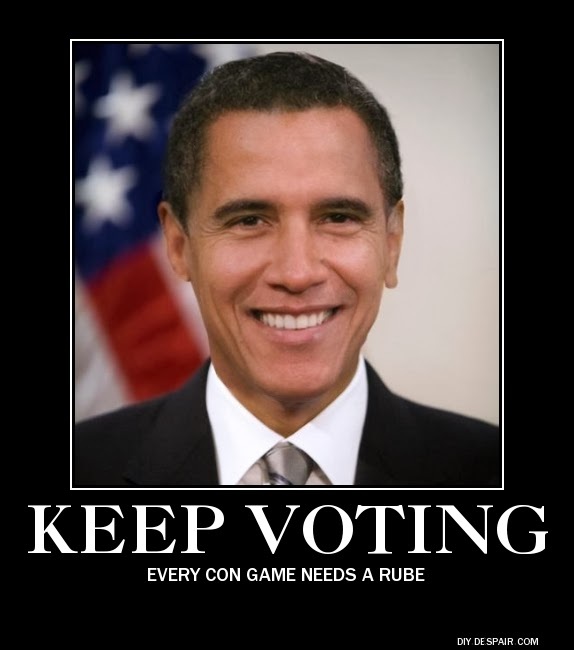 With Season two about to premiere in less than a month, I thought it would be appropriate to discuss the vision of politics that it advances. 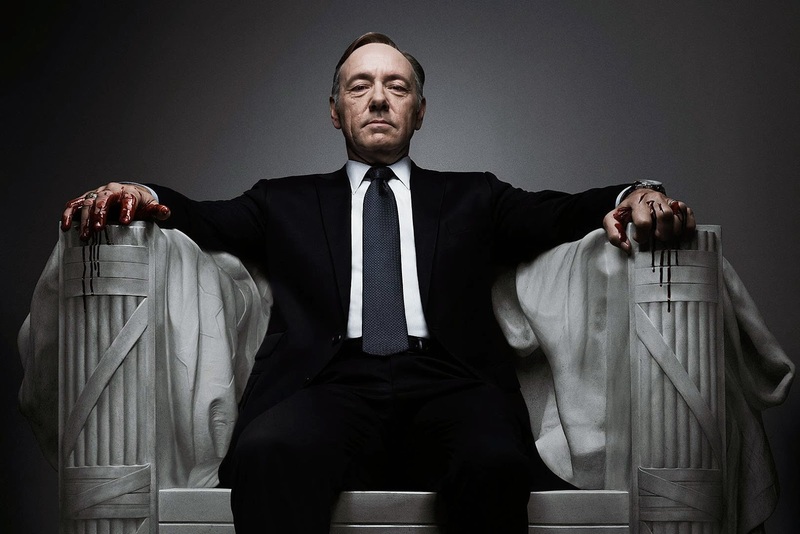 The show centres on Spacey's character, Francis Underwood, the (Democratic) representative for South Carolina's fifth congressional district, and House Majority Whip. The first episode begins with Underwood anticipating being named the new secretary of state, his promised reward for having helped the President get re-elected. However, when he finds out that he is instead being passed over for another nominee, he embarks on a scorched earth campaign to get himself appointed to a position of greater authority. Over the course of the first season he manipulates, blackmails, slanders and (spoiler alert) eventually even kills to get himself chosen as the replacement nominee for the Vice-President (given that his goal is a position of power, one presumes that he doesn't intend to remain satisfied with just the vice-presidency. Stay tuned, gentle viewer). The show's pedigree, however, is more extensive than just the writer and director. The Netflix House of Cards is, in fact, a remake of a beloved British miniseries, also titled House of Cards, which premiered in 1990 (itself based on the 1989 novel of the same name by author Michael Dobbs). In the British version, Francis Underwood is Francis Urquhart, Majority Whip in the House of Commons. The overall plot trajectory is roughly the same; Urquhart is passed over for a cabinet position he expected in return for getting the Prime minister re-elected, and, in retaliation, he too embarks on a trail of betrayal, blackmail and murder that results with him becoming Prime Minister (The mini-series was popular enough to be followed up by two sequels). In many ways the two shows are quite similar; both are headed up by charismatic anti-heroes (with a penchant for breaking the fourth wall and instructing the viewer on the intricacies of politics and the deviousness of their plans). Both men are driven only by a desire for personal power, seeing all of their relationships - personal and professional - completely subordinated to naked self-interest. Both provide the visceral pleasures of watching a brilliant but amoral protagonist unwinding complex and devious schemes. And yet there are subtle, but key, differences between the two shows, differences which speak to the distinct ways in which political narratives are handled in Britain and the United States respectively. 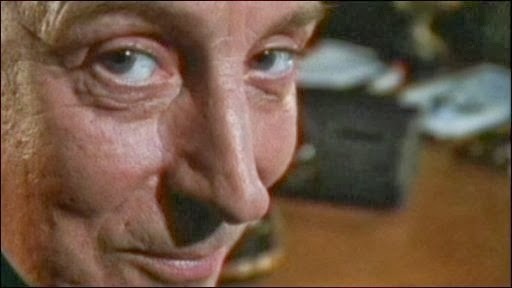 In the British version, Francis Urquhart is entirely a man of his time. The series starts on the eve of the first post-Thatcher election, and Urquhart is the archetypal post-thatcherite Tory. Combining the worst aspects of Aristocratic self-regard and Bourgeois self-interest, Urquhart's political machinations spring directly from Tory ideology. When Urquhart subordinates all of his personal relationships to his own self-interest, he is simply expressing the radical individualism embraced by the politician who stated that "There's no such thing as society". When he seeks to acquire more power, he is simply expressing the divine right of the strong to exercise power over the weak. When, as majority whip, he gleefully speaks about the need to "put the stick about", he is embracing that neoliberal penality which knows that the only way to provide order is through force. 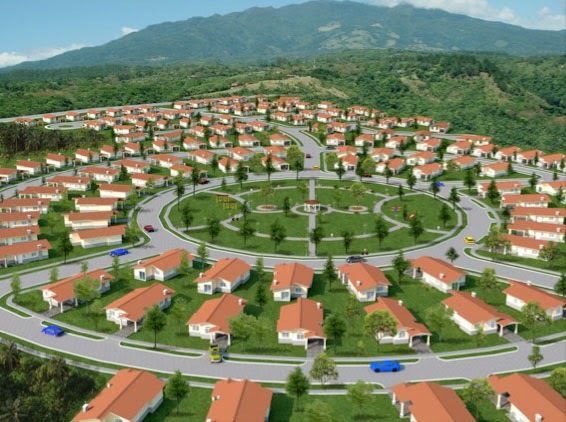 Urquhart springs full blown from an ideology, and embodies a particular belief system. He is a symbol of his time, and to the extent that we're disgusted by him, we recognize how disgusting the world around us has become, and to the extent that we're enthralled by him, we recognize the ways in which we are affectively vulnerable to fascistic calls for authority, order and hierarchy. (Urquhart's frequent claim to the viewer that he succeeds because we, the public, both need and want him, serves as a nice illustration of Deleuze and Guattari's puzzling question 'What makes desire desire it's own oppression?"). Contrasted with this, the American version of House of Cards represents that strangest of North American genres - the apolitical political drama. Where the UK's Francis Urquhart is the living embodiment of a time and an ideology, the US' Francis Underwood is a political cipher. Underwood is a Democrat (undoubtedly a choice made to avoid having the show appear as the supposedly usual liberal-hollywood-elite bashing the conservatives), but also a Southerner (all the better to make his Machiavellian actions standout against his folksy, non-threatening manner). Already we see the problem. Where Urquhart was representative of a recognizable type - dripping with class privilege and oxbridge mannerisms - Underwood is representative of a vanishing breed in American politics - the Southern Democrat. Indeed, a quick look at the current rolls shows that just one of South Carolina's seven representatives is a Democrat. Now, it would, I suppose, be possible to tell the story of Underwood as a relic, an artifact left over from the days of the solid south, as still pop up now and again (although less and less, and Underwood is a little young to claim Robert Byrd status). The trouble with this, of course, is that we have absolutely no sense of Underwood's politics or beliefs. Over the course of the show, we see him campaign for an education bill which substantially undercuts teacher's unions, and then go on to push for an environmentally friendly watershed development act. 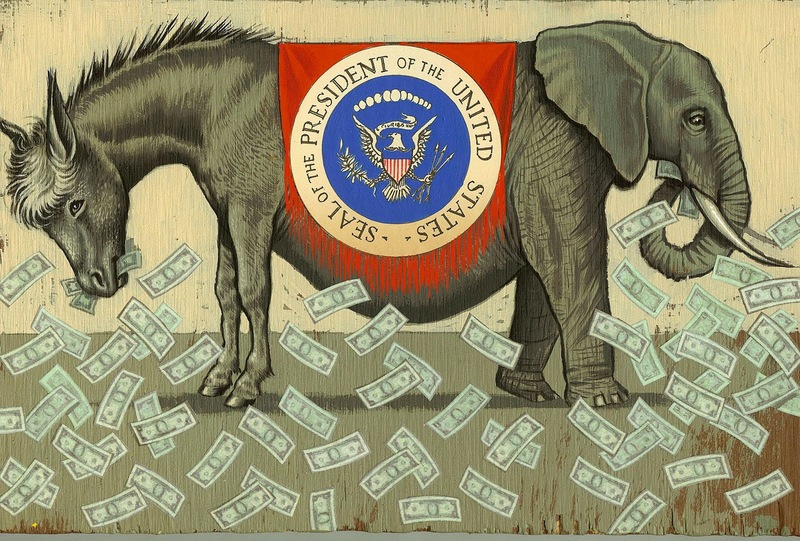 This political ambivalence could also be seen as an indictment of the increasing centrism and banality of the Democratic party, but words like Democrat and Republican are almost never uttered, and questions of belief, ideology, or political world-view are almost completely absent from this story ostensibly about politics. 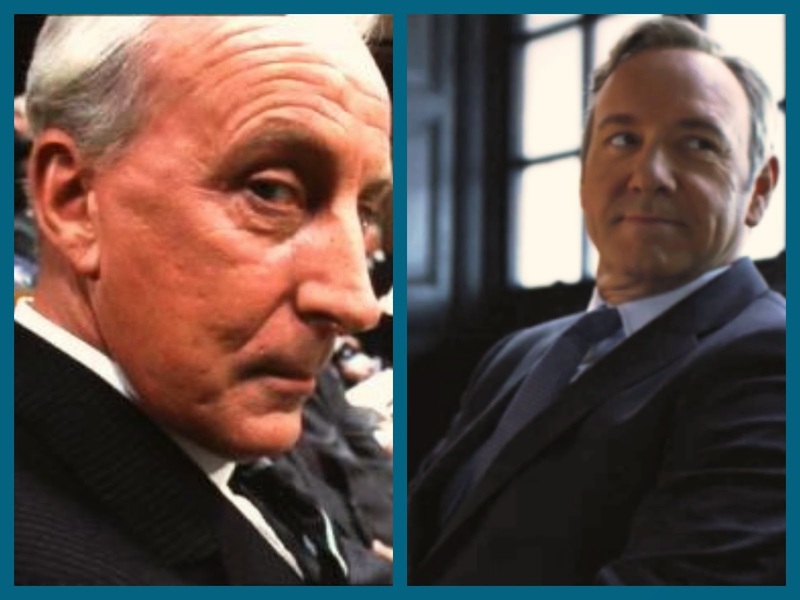 All of this is to say that - unlike Francis Urquhart, the archetypal Tory - Francis Underwood is not, I would argue, intended to be the archetypal Democrat, or the archetypal southerner, or the archetypal 21st century congressional representative. Rather he is intended to be the archetypal Politician. 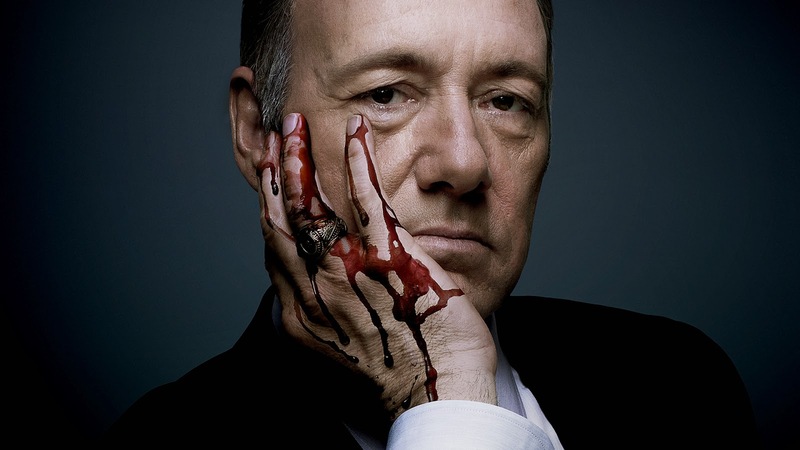 Unconstrained by party or belief, Underwood represents the politician as completely corrupted by the process of politics, a radical evil marked only by the pure desire for power - power without reason, power without ideology, power without end (or rather, power only as an end in itself). In these contexts, satirical and dramatic accounts serve to reinforce our sense of superiority by pointing out how much better we are than politicians and politics (for differing versions of this process, see Warren Magnusson's The Search for Political Space, and Jonathan Coe's recent discussion in the London Review of Books on the effects of political satire). In this regards political dramas and satires in North America don't just tend to be apolitical (i.e. presenting themselves as coming from a place devoid of political ideology, and therefore attacking no particular ideology, but rather the practice of politics itself). They are also depoliticizing (by making us believe that the political sphere is fundamentally dysfunctional and corrupting, and therefore we are better served by simply avoiding it altogether. See Bill Connolly's take on this process here. This depoliticizing move brings out another point of contrast between the UK and US versions of House of Cards; that, crucially, they are not just separated geographically, but also temporally. The UK version took place in 1990 just after the Thatcher revolution. The context is thus one of a completed, but not fully naturalized neoliberal revolution. In the UK version the violence, the cruelty, and, most importantly, the class-warfare based nature of neoliberalism is placed front and center (especially in the second mini-series, when the newly established Prime Minister Urquhart finds himself opposed by the new King who seeks to whip up public concern for poverty and homelessness. This struggle between bourgeois class-interest and aristocratic noblesse oblige reminds us of a time when the claims that 'there is no alternative' was contentious, rather than simple common-sense). While Urquhart stands as a symbol of the arrogance and privilege of neoliberalism, it is clear that he is merely an expression of a wider ideology and system. Indeed, the final miniseries ends with his assassination and replacement as Prime Minister, reminding us that, though the individual is gone, the ideology, the system, and the revolution go on. Contrast this with the American version, in which all we have are individuals. Every character in the show is out for themselves, pursuing a narrow self-interest (those few characters who seem to hold some sort of political belief are invariably shown to be hypocrites or ineffective naifs). Even the Underwoods' marriage is an uneasy alliance between power-players. 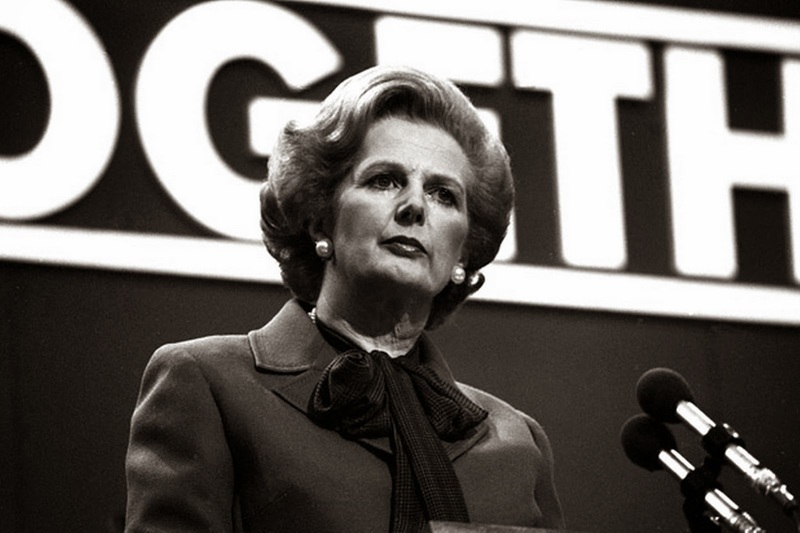 It is a world-view which has perfectly absorbed Thatcher's dictum that there is no such thing as society. (Indeed, the fact that it shows politicians as inherently corrupt or incompetent only reinforces neoliberalism's cynical take on the public sphere against the private). 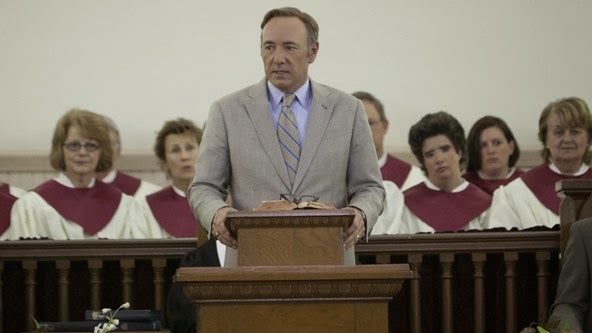 In the last episode of the season, Underwood, afraid that his schemes might have failed, finds himself in a chapel and delivers a long monologue, seemingly both to God, and the viewer. 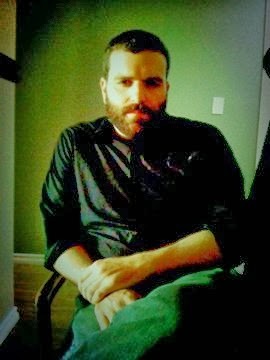 He ends by saying "There is no solace above or below, only us, small solitary, striving, battling one another. I pray to myself, for myself. " It is a sentiment that Thatcher couldn't have put better, and yet, unlike the British version, it doesn't seem that we are supposed to be disgusted by Underwood's nihilism, or pity his alienation. Rather, in many ways, the show sets him up as a prophet, telling us the uncomfortable truths that only he is honest and serious enough to admit (neoliberalism as 'tough love', a tried and true trope). 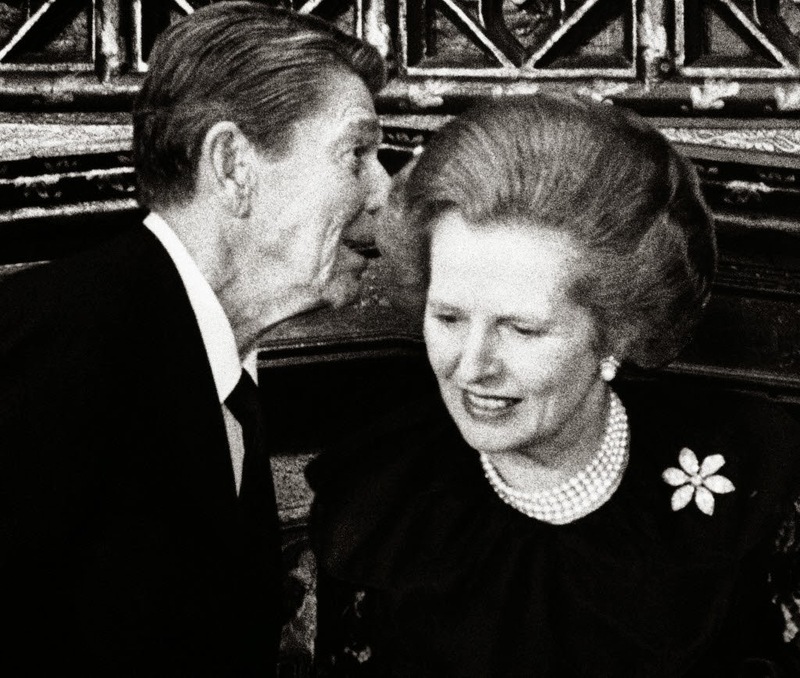 Contrary to the critique of neoliberalism that the UK version carries forward, the American version manifests as a neoliberal critique, a stinging indictment of politics qua politics, and a reinforcement of an individualized and depoliticized image of society. The problem of politics, in this account, isn't any particular ideology, or system. Rather it is the greed and avarice of individuals, a question, ultimately, of virtue, not politics. The point here isn't to replace this account of politics with an optimistic image of American politics as the purview of committed and passionate civic minded individuals (call this the 'West Wing' gambit). There is, and must be, a place for a deeply critical perspective on politics in narrative. But it is dangerous when such critiques begin and end with questions of personal virtue, or simply repeat tired tropes of the corrupting influence of power and politics. The best political narratives (much like the UK House of Cards) go beyond the individual to critique systems, ideologies and institutions. They are attentive to the way in which they portray politics. 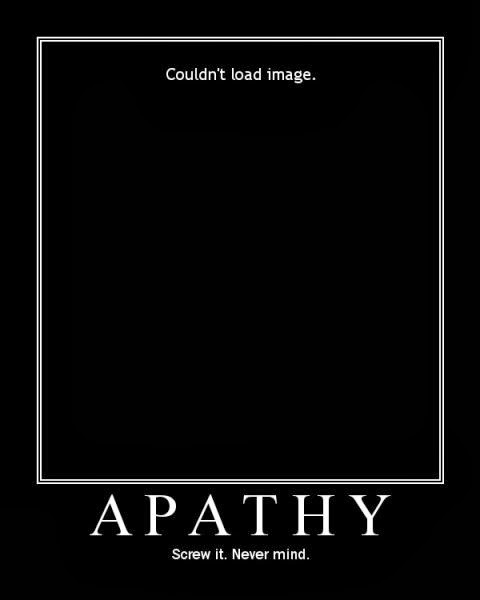 Such perspectives can still be dark, can still be cynical, can still be tragic even. But they also recognizes the way in which cynicism can simply play into the hands of those entrenched forces which profit from a system in which the majority perceive politics as an inherently broken and corrupt system. Ironically, Fincher would have seemed to be the ideal director to walk this tightrope between pessimism and apathy. Think here of the final lines of his breakout hit, Seven. There, a defeated Morgan Freeman intones the words "Ernest Hemingway once wrote, 'The world is a fine place and worth fighting for.' I agree with the second part.". It is, perhaps, the most telling fact of our current social climate, that Fincher was able to muster greater optimism in the face of serial killers, than politicians.